Hi! Here’s another UPS review 😉 I am not an UPS tester by profession, but this topic seems to be around me recently, caused by various opportunities. This time I am playing with APC Smart SC1000 tower/rack-mount unit, and it’s nut interoperation. Remember that the serial device must be accessible by the uid which nut driver is running with. Try an udev rule. Tested and working commands: shutdown.return, test.battery.start, test.failure.start, test.panel.start; other commands not tested – I have learned a lesson recently. 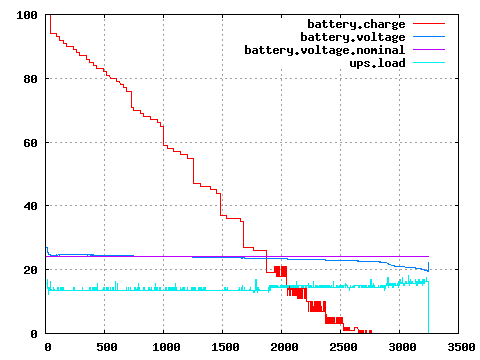 The runtime seems to stabilize after about 6 hours, however battery voltage is further increasing slowly. 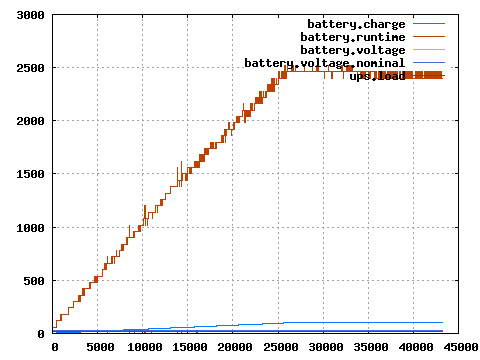 A discharge cycle has run for about 54 minutes and it was interrupted manually – battery voltage was going really low and I did not want to risk it’s life. 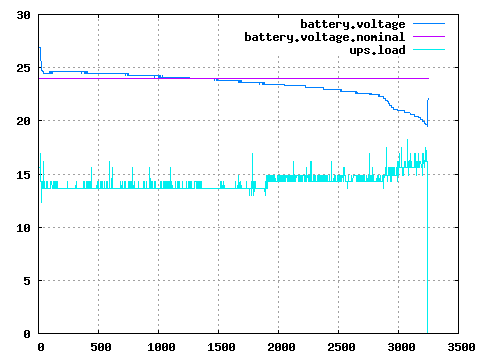 However I did one or two discharge cycles before this plotted version, and the UPS successfully shut-off itself with a higher battery.voltage. Therefore I could have been safe, but did not want to take any risk anyway. 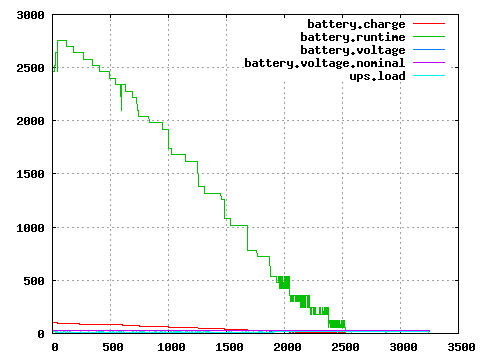 UPS started to signal low-battery (LB) after 39 minutes (~2350 sec), but lasted at least 15 minutes after. 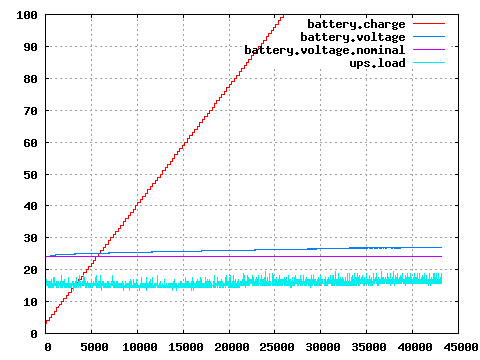 This may or may not be your case, my previous run proved about 5 minutes on LB before automatic shut-off. To summarize – it is a very good UPS, behaves reliably and it’s interoperation with nut is just excellent with apcsmart driver.